Kate thought she’d never unlock her powers - let alone trigger them by creating a familiar out of a cross-eyed pigeon. Before she can celebrate the good news, a terrifying bounty hunter kidnaps her mother. In a race against time to save her mother, Kate runs afoul of a dragon, and even worse, the most feared creatures in existence: the dreaded forest gnomes. To top it all off, she discovers long-lost magical family members who maybe should have stayed lost. Kate is finally a witch - but it just might kill her. If you like Buffy the Vampire Slayer, Veronica Mars, and iZombie, you’ll be rooting for this strong, snarky teen girl at every moment. 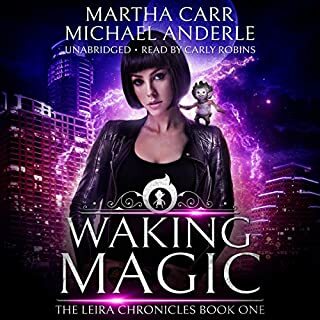 Audiobook two of the Kate Roark Magic series - discover this fast-paced, fun-filled magical listen today! This book was quite a bit longer than the first and just as enjoyable. The story unfolds quickly and sometimes moves almost too fast, but if you remember that it is intended for a young adult audience it makes sense. This also applies to the seeming immaturity of the main character and some of the dialog. It was very easy to forget at times that the target audience is teenagers. It will be interesting to see if Ms. Rich extends into adult fiction in the future. This installment had a different narrator than the first and while I enjoyed her adept use of voices for the characters, there were some voices that were quite a bit grating. However, the one that bothered me the most I came to think was quite intentional as the character is, shall we say, not of first choice and therefore is likely annoying to the protagonist as well. Thus, adding a bit more of an annoying voice to that character will allow the reader to remember that tension throughout the book. Whether this was intentional or not on the part of the narrator, I’m not sure; but I like to think so. I am eager to see where this series goes as this installment added many more layers and background to the first and opens up a wide range of avenues for Ms. Rich to explore. This book started in the middle of action which is always a great way for a book to start. You get a chance to know the characters have how they will react to the situation. Kate did not know she had magic, in fact she was pretty sure she didn't. She was more than satisfied to be a hedge witch but her mother was a very strong ancient witch and so she would like to have been that also. Kate's mother had been abducted and Kate wants to get her back l even if her mother told her under no uncertain terms to not try to follow her. Kate is compassionate, her only innate skill before getting her magic was empathy, and it became even stronger with her magic. She is strong willed and someone who is good from the inside out. I think this goodness will be tested in this series. I enjoyed this 2nd story by this author in this series. Though the main character is a 15 year old girl she part of the time comes across as older. She is a Very Headstrong teen and does not always think things through, just like any average teenager. This book was given to me free for an honest, unbiased review. This book was a GREAT change of "scenery" after a binge on historical romance! It was like having light and airy cotton candy after a month of rich chocolate cake. And the story was based in East Texas, in which I was born, bred and reside, so I think I'm a little biased. But to the review. The story is about a young teenage witch who's mother is kidnapped...on the exact day that she comes into her power. So she's up to her neck in training a new familiar, in which she knows nothing about, learning to use her brand new magic, and trying to rescue her mom. She ends up summoning the bounty hunter, who kidnapped her mom, and has enchanted him to help her retrieve her. 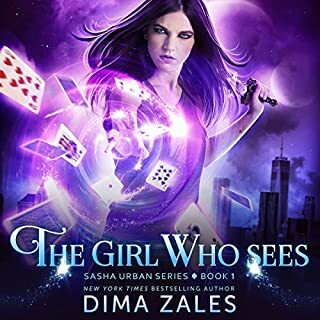 On this mission she learns more about her power, as it gets stronger and stronger, more about her mysterious bounty hunter and how they are connected, and family secrets about who she really is. I really enjoyed this story. I honestly think it's PERFECT for teens and young adults. The narrator sounds to be in her teens/early adulthood so it actually brings the story to life in the appropriate age range if that makes sense. The sound quality changes a bit at times but not enough to be distracting. Over all I think it deserves 4 stars. It's a great book. I would definitely recommend this book. I thoroughly enjoyed it. Worth a credit. Great narration. It was a good book. I really enjoyed the characters and how they interacted. The storyline was fun. I recommend this series! 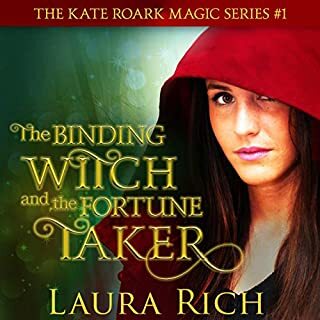 This story is the 2nd book in Laura Rich’s "Kate Roark’s Magic" series. Interestingly, I read this book several months ago... before I realized there was a “first”: The Binding Witch and the Fortune Taker. Although there was enough information about the first book provided in the second, I was still able to understand and enjoy the story. However, when I had the opportunity to go back, I did. It added to my enjoyment of course. So, if you are able, read or listen to Fortune Taker first. If not, that is okay too. 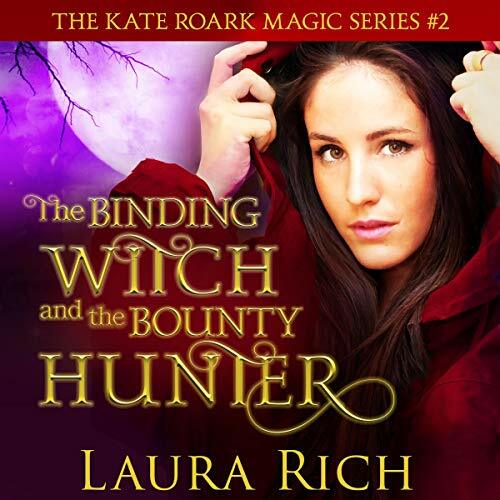 Since this installment was such a great story, I enjoyed reading The Binding Witch and the Bounty Hunter, but listening to it brought another level of enjoyment. Kate has always been a Hedge witch, but with a really strong empathy vibe. She has always been able to pick up on others' feelings. But, since her meeting with the Fortune Taker who tried to take power and abilities from others, including Kate. Things have changed. Kate was able to get the Fortune Taker to release her power (and all the others whom she had been draining off their innate talents). Kate felt empty without it, but as soon as it returned she was different. She felt different. She was able to do other small magics that she could never do before. But, before Kate had time to work through her new found abilities with her Mom, she was abducted! A powerful witch in her own right Kate's mother was somehow magically bound in a material that inhibited magic. She told Kate not to follow her. Of course, Kate being a normal teenage daughter, listened to her Mom. Listened, but ignored what she was told. Kate is stubborn that way. Join Kate, as she searches for her mother, with some of the most interesting "side kicks" ever... like her Mom's familiar, a very rude cat. What kind of power has Kate gained? Will she be able to find her Mom? There are numerous surprises along the way, a twist here, a turn there. Jessica Klimushyn does a fantastic job of narrating Kate’s tale. Jessica’s voices are excellent; her range is incredible. It’s easy to distinguish each character by voice. I love the Scottish Brogue she gives the Gnomes; but, Luna (you’ll see - we’ll hear) is so fun. As far as the story went I got a little bored with the storyline. I normally love listening to YA books but I feel like this was a little more for younger teens. 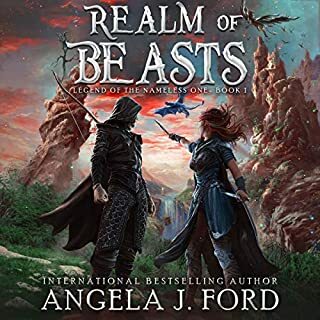 Not sure if this is one of the narrators first books or not but I could hear her taking in breaths which was slight but still noticable. Also, not sure about the room it was recorded in but it didn't sound like it was well prepped for recording. I did like the narrators voice and would not mind trying another book narrated by her. I was given this free review copy audiobook at my request and have voluntarily left this review. A wonderful story comes to life! This is the second installment to the "Kate Roark Magic Series". 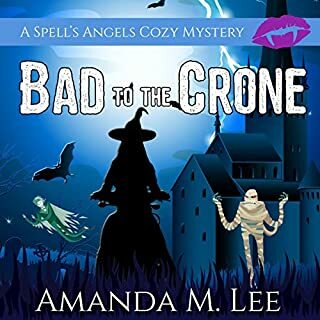 Continuing from the first book, Kate has finally gained her magic powers and while she is still trying to get the hang of them, her mother is kidnapped. She sets off to rescue her, but her path is strewn with adventures, as well as a great secret that will change her life. When I first read the ebook I was captivated by Ms. Rich's unique world building. This audiobook is a wonderful plus. 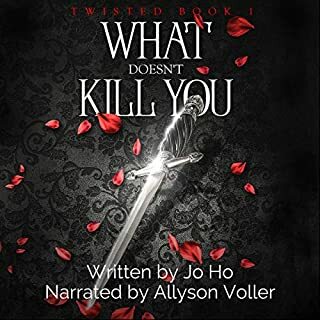 The narrator was excellent, and it really added to the story being able to hear the different voices assigned to each character, as well as the narration parts. Listening to the audiobook brought out the story for me, making me feel as if I was part of Kate's adventures. If audibooks is your thing, then this is an excellent choice. I received a free audiobook copy from the author and I voluntarily leave an honest review.